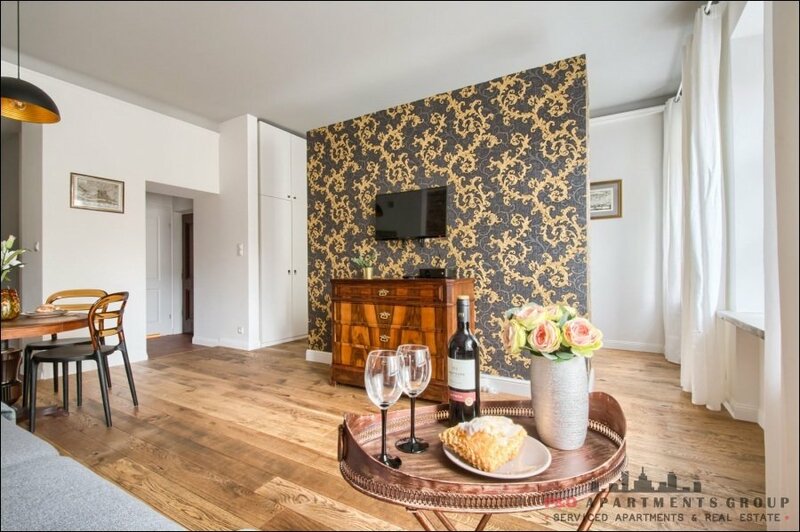 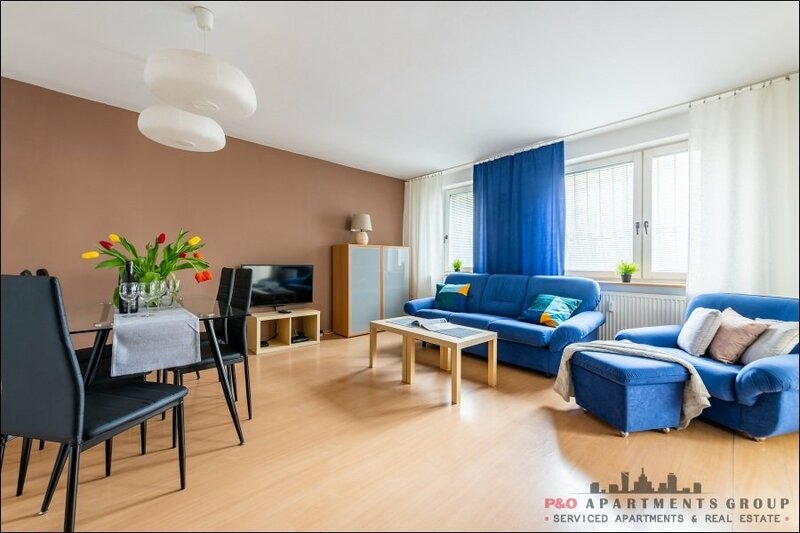 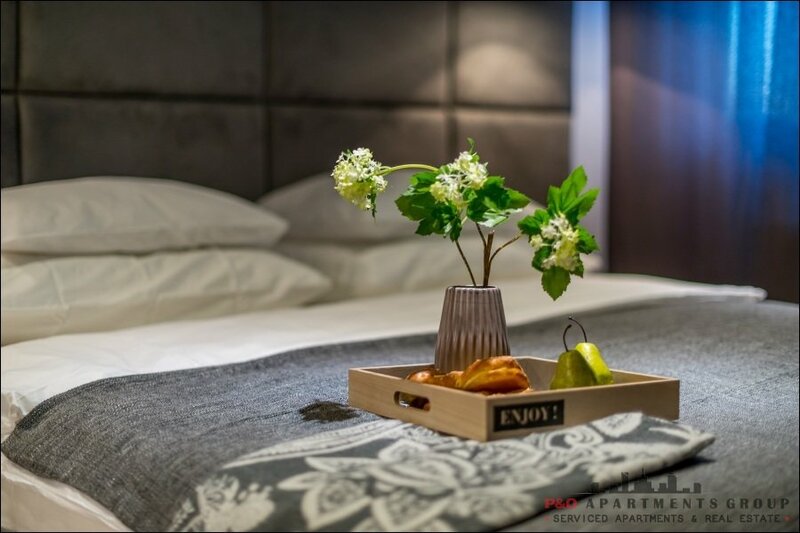 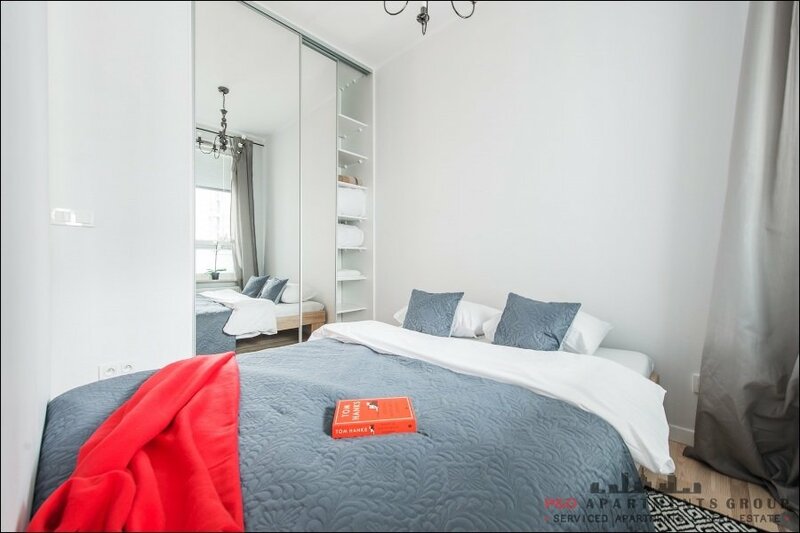 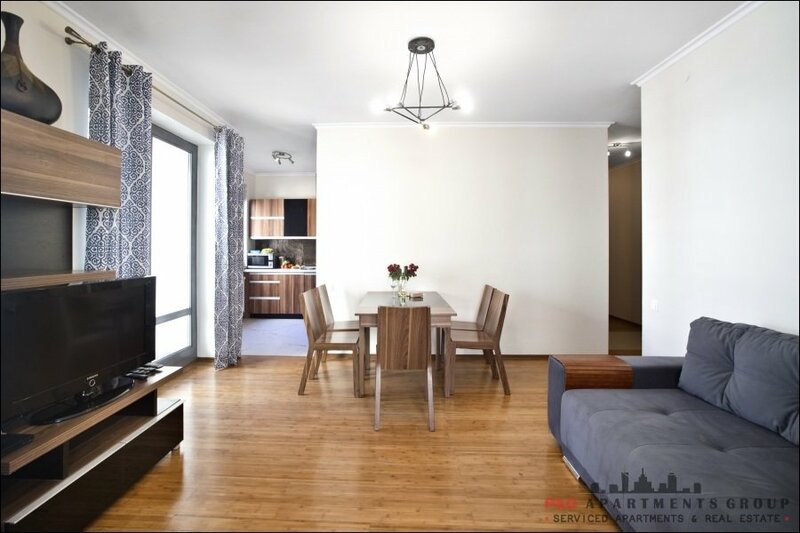 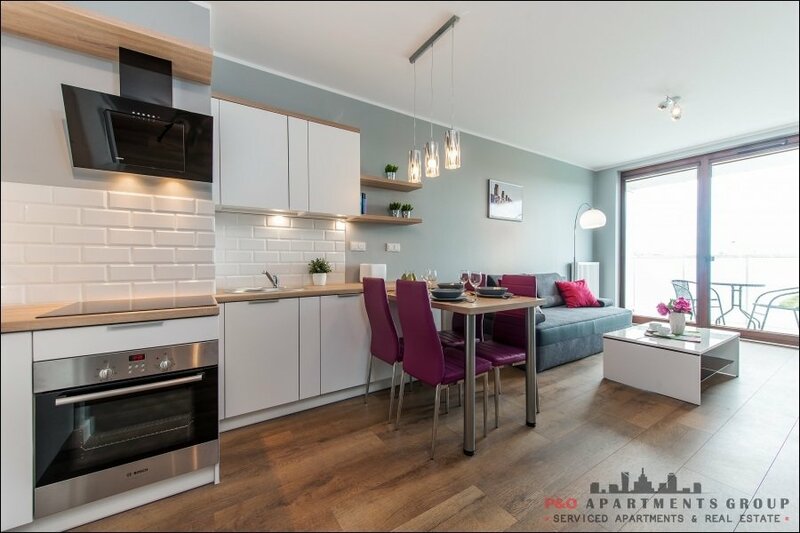 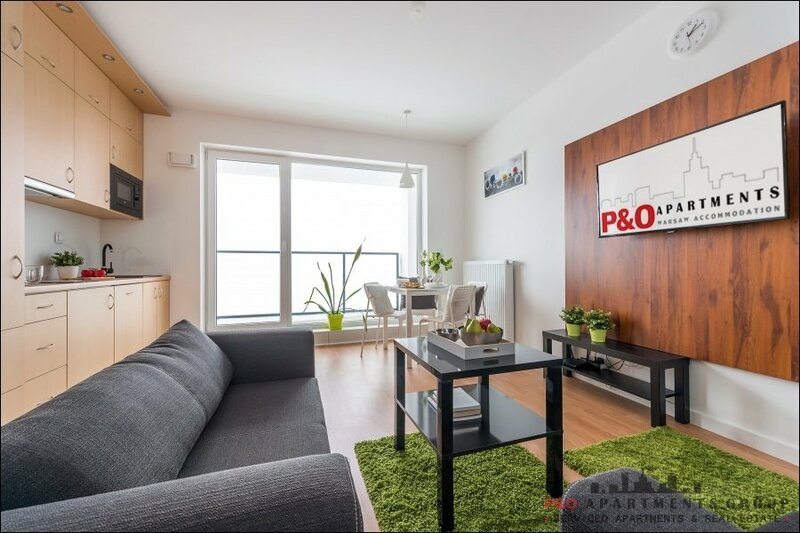 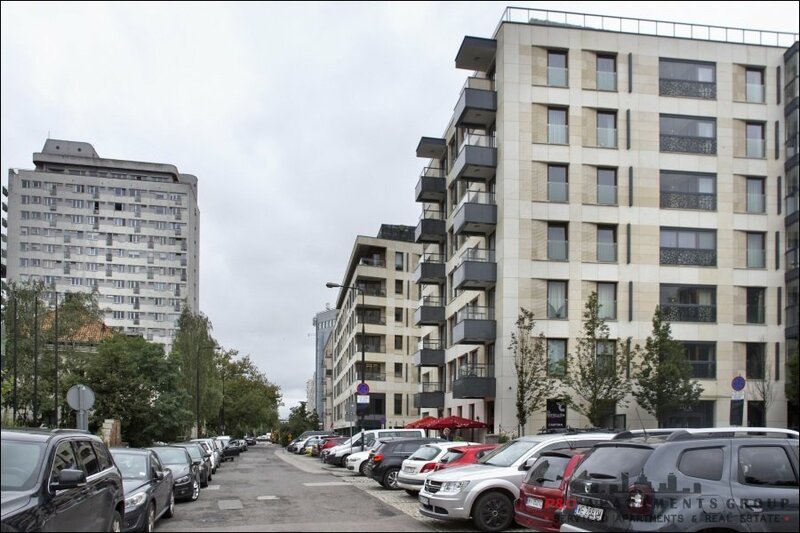 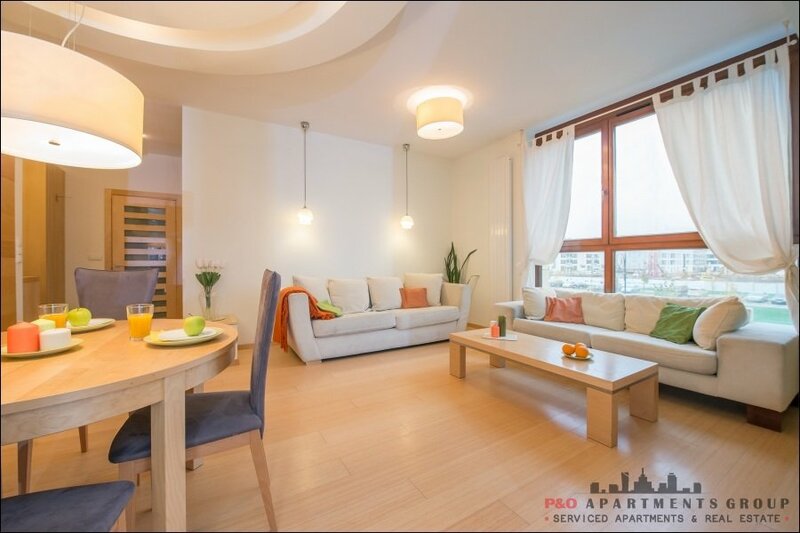 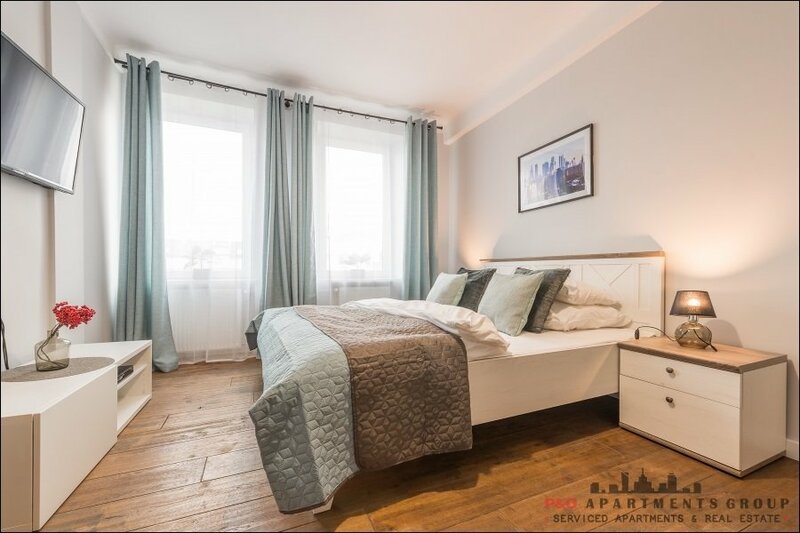 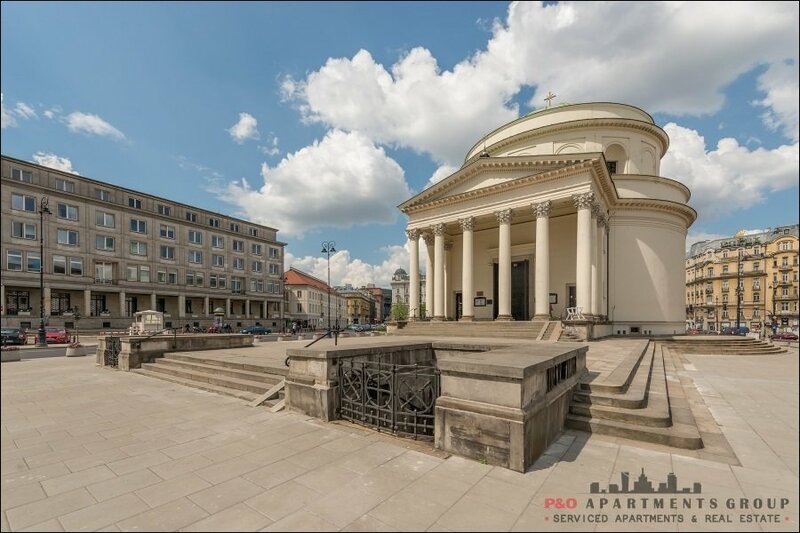 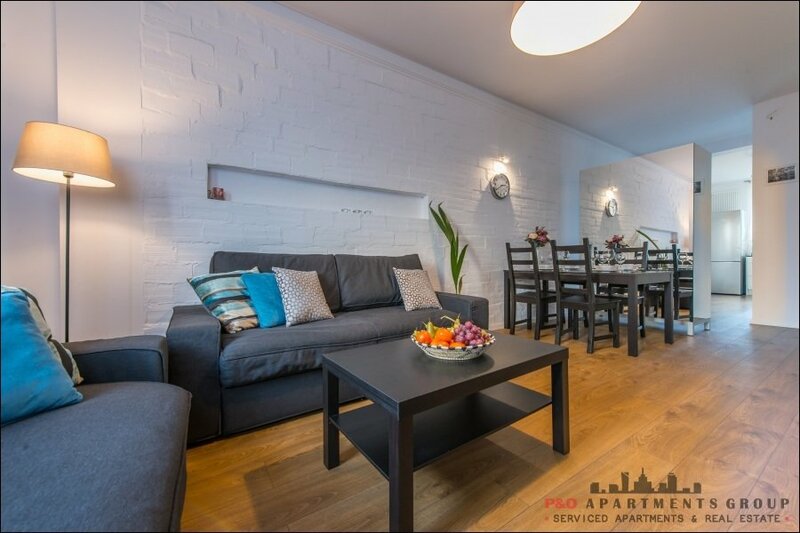 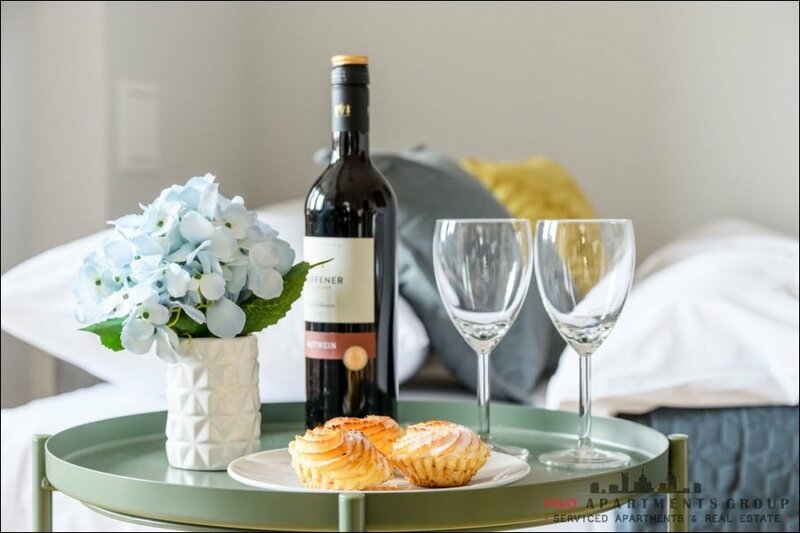 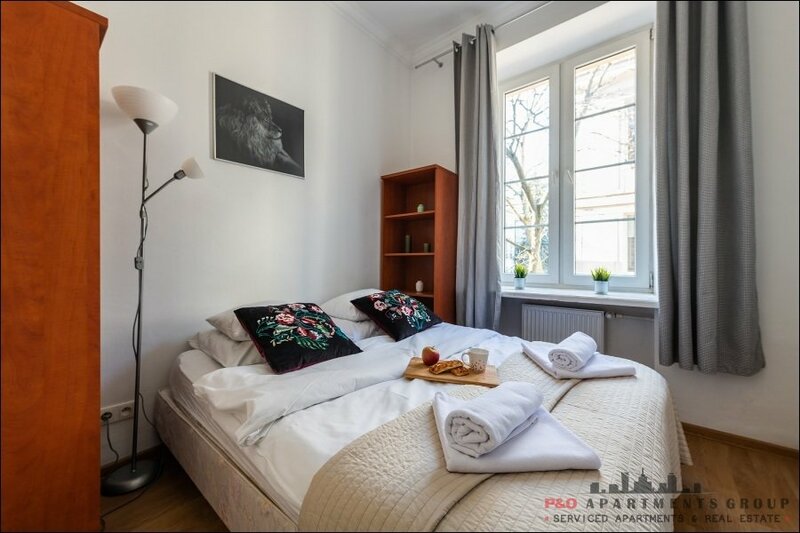 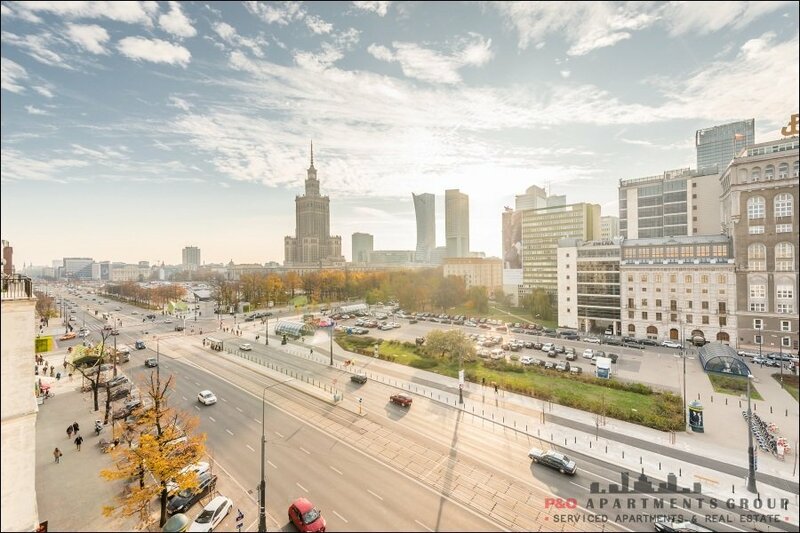 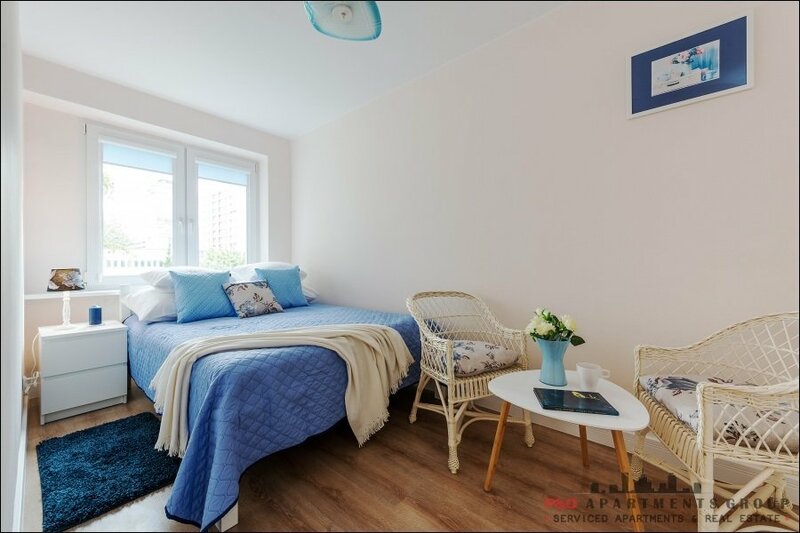 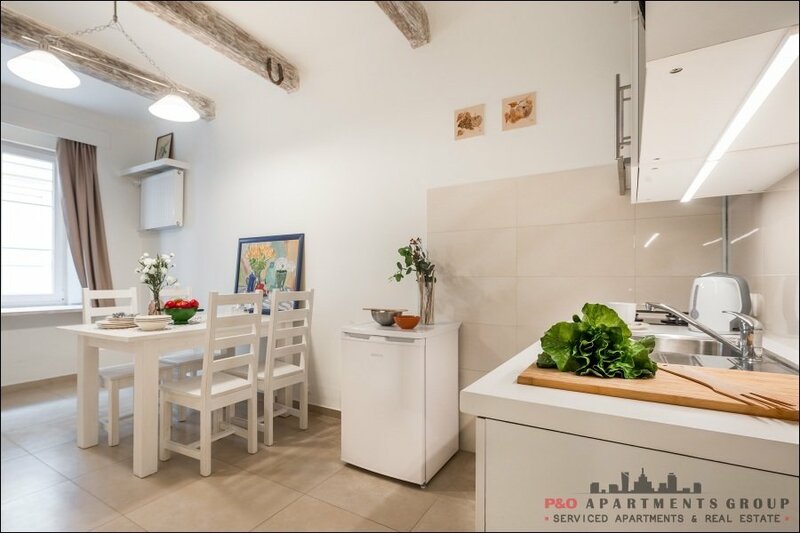 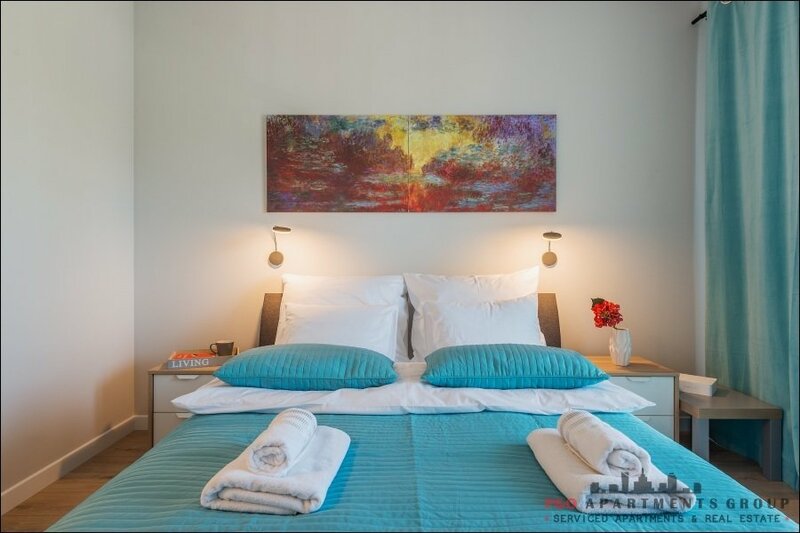 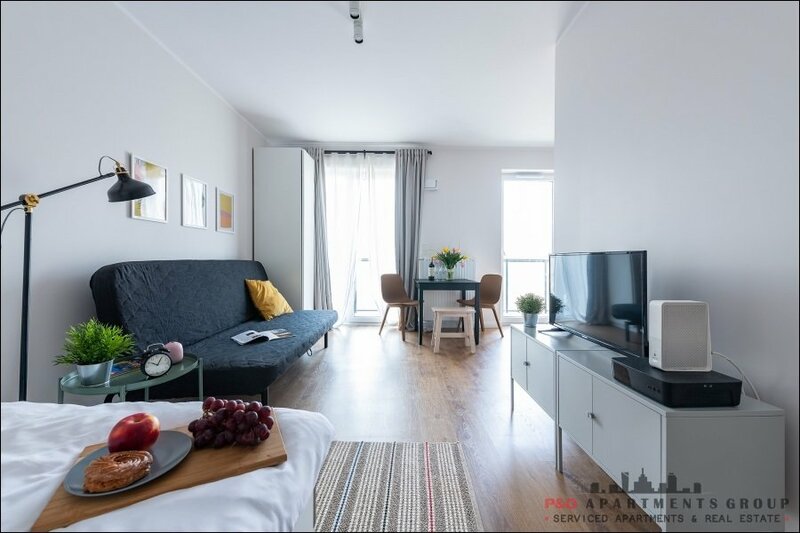 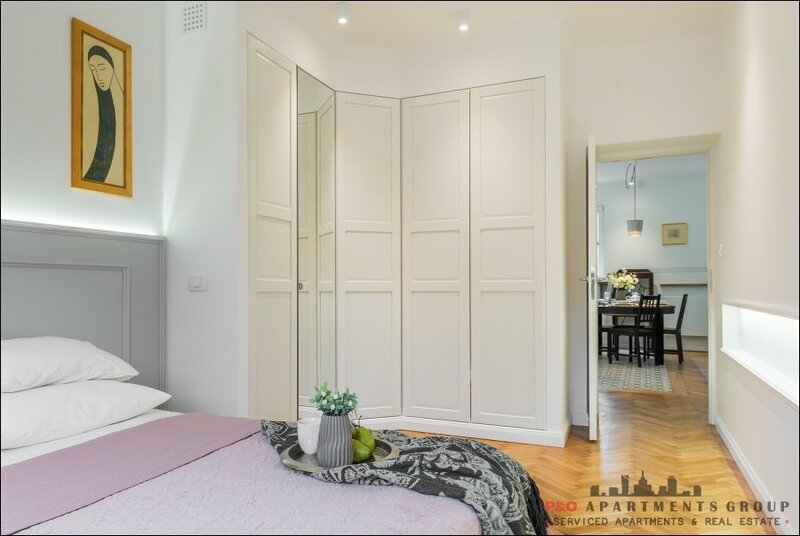 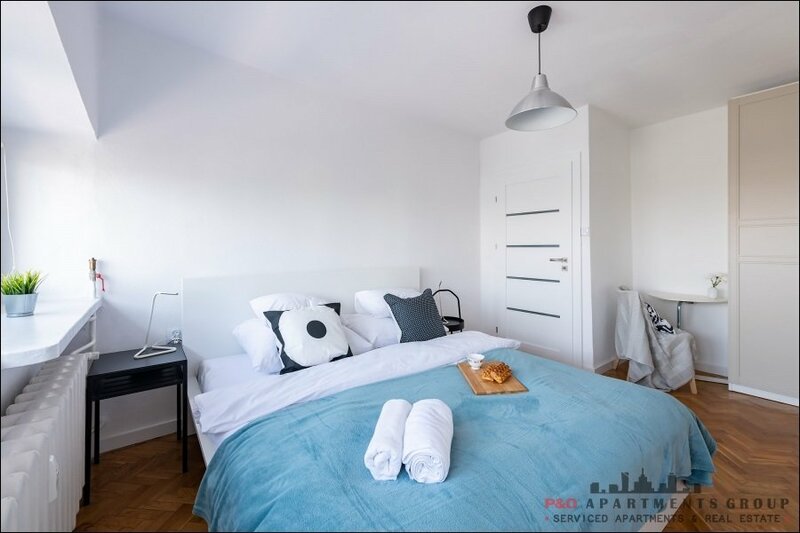 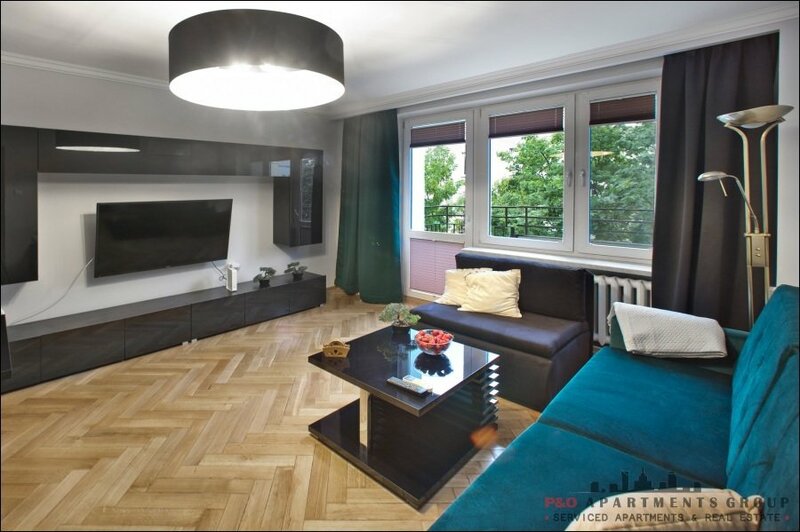 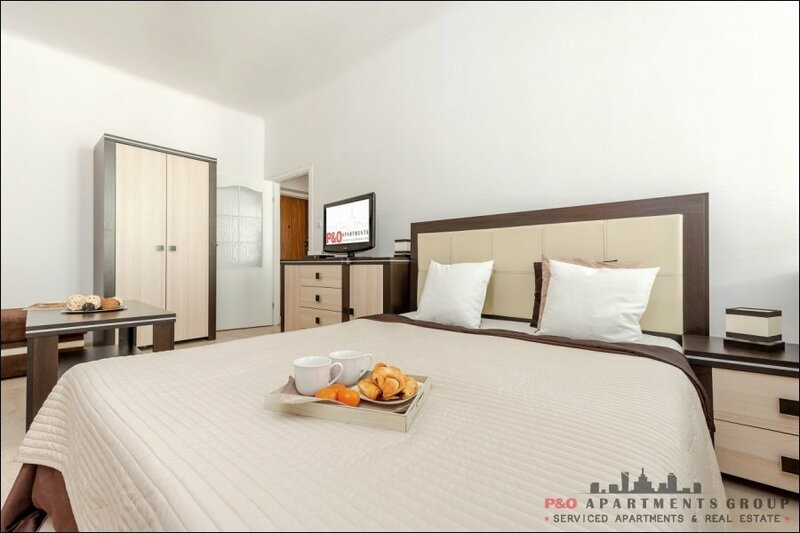 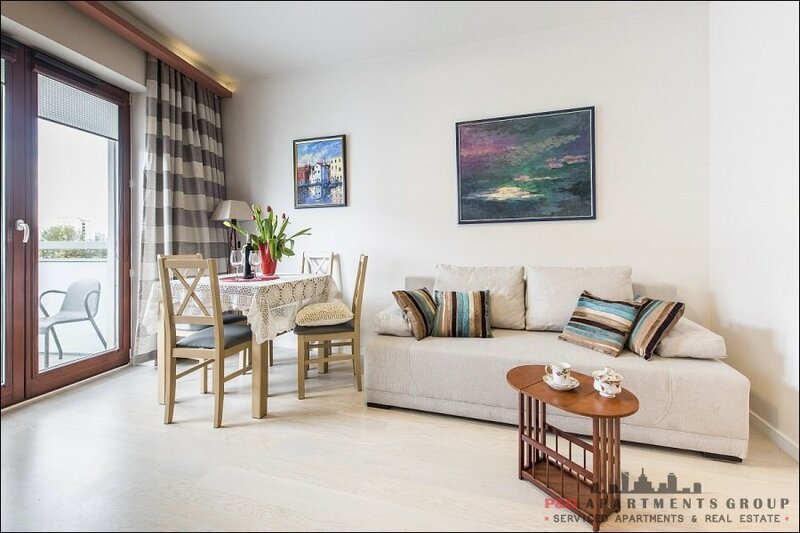 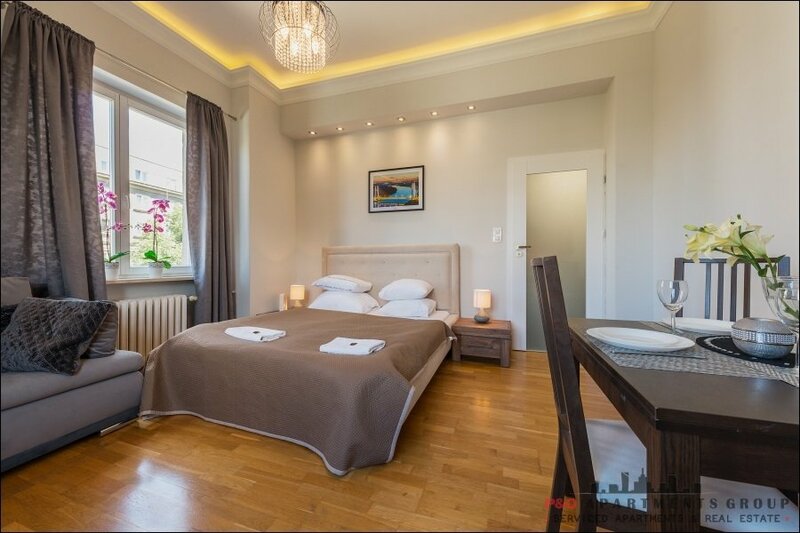 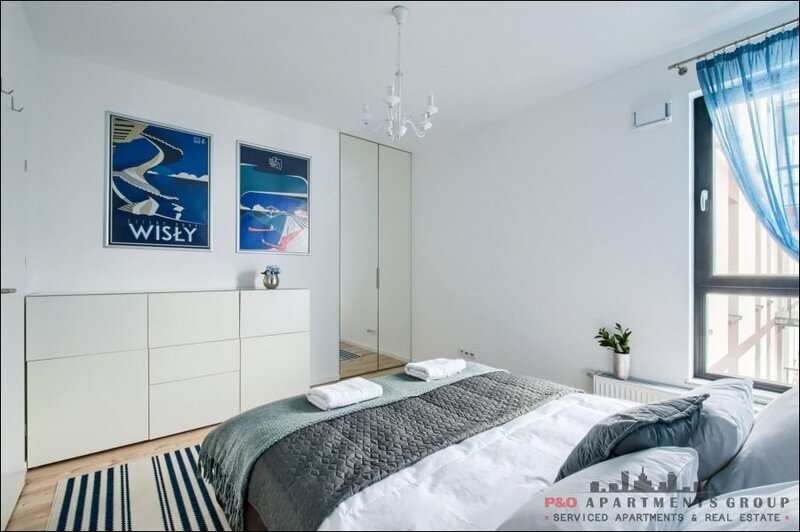 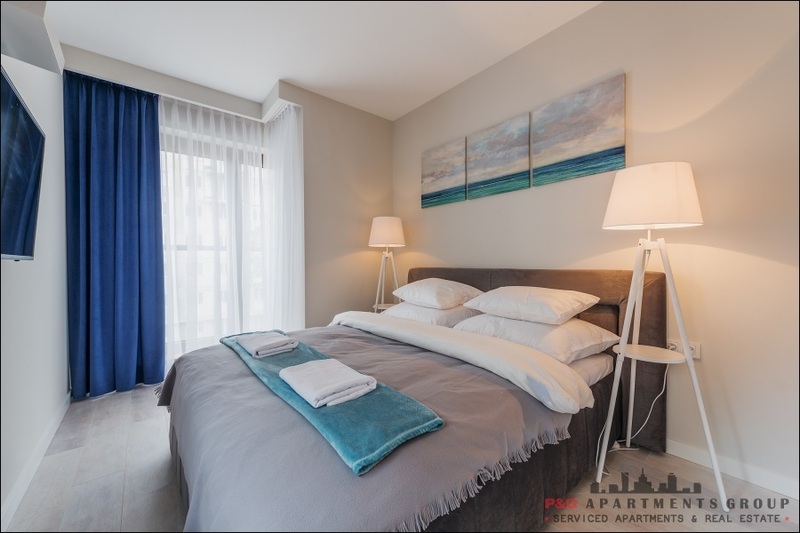 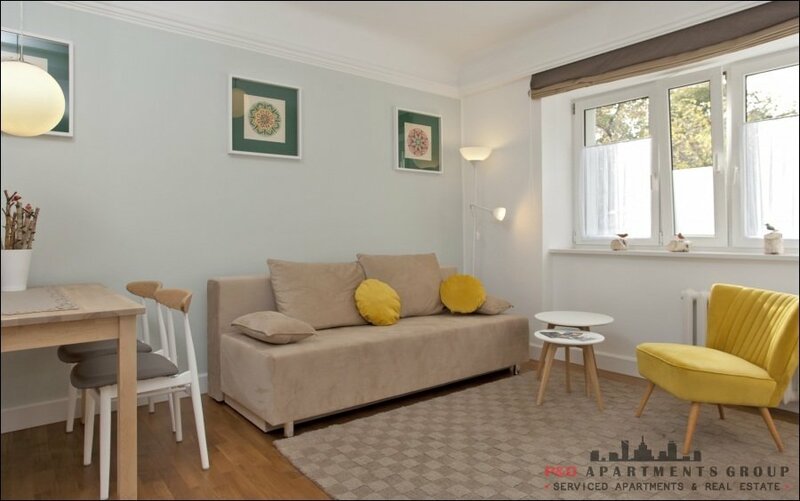 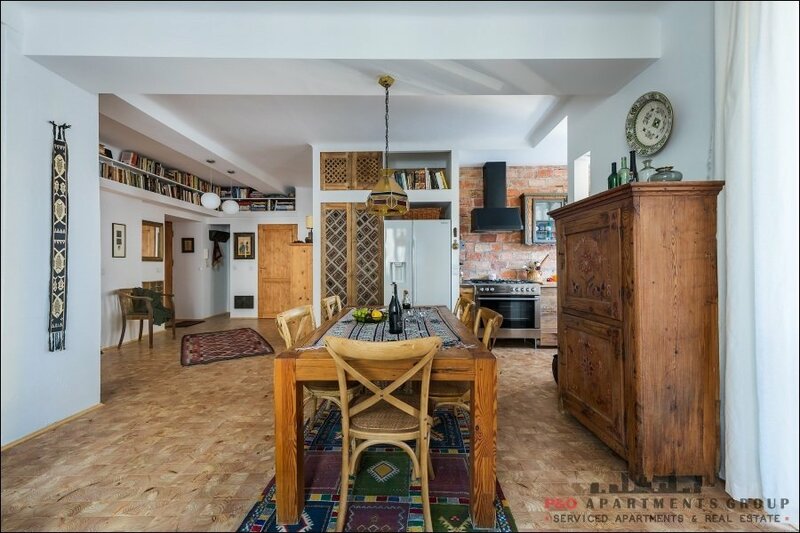 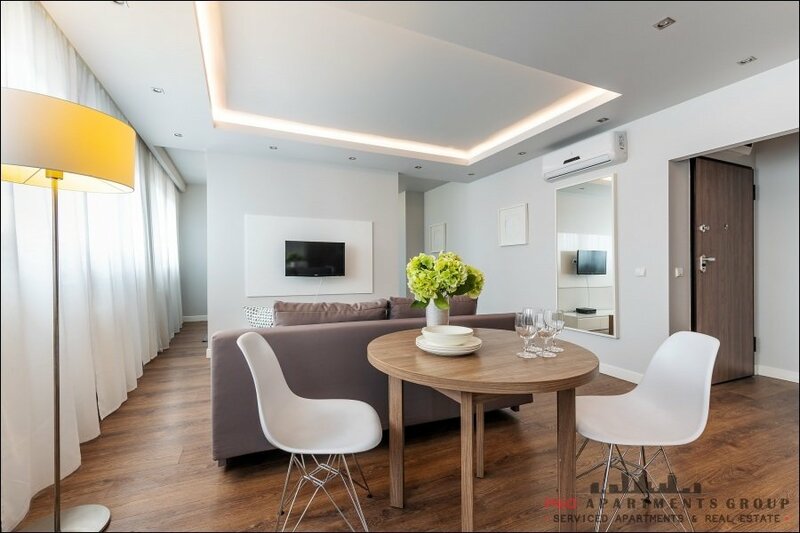 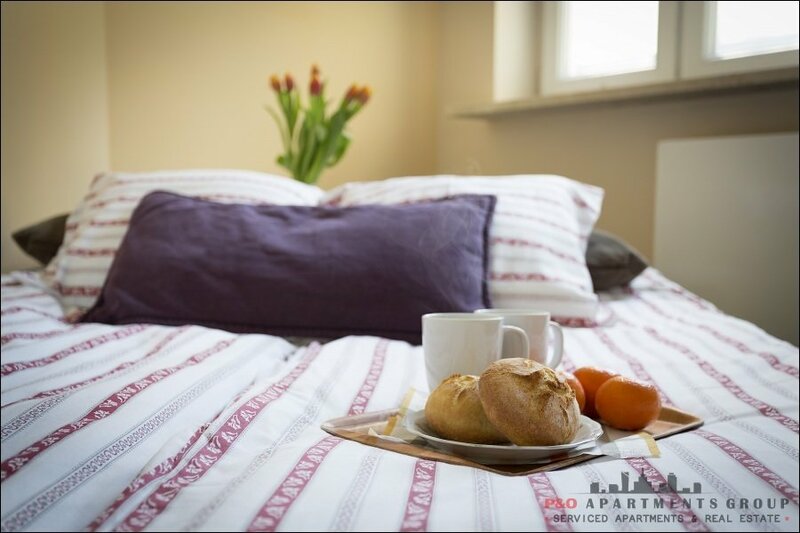 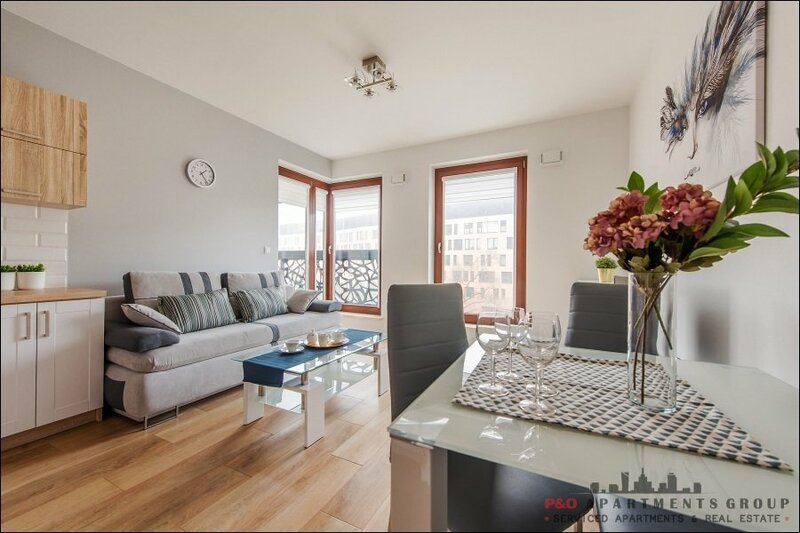 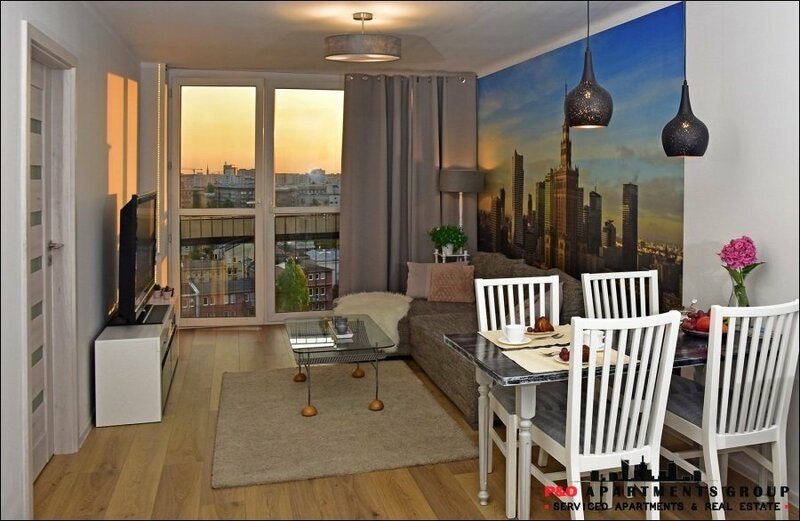 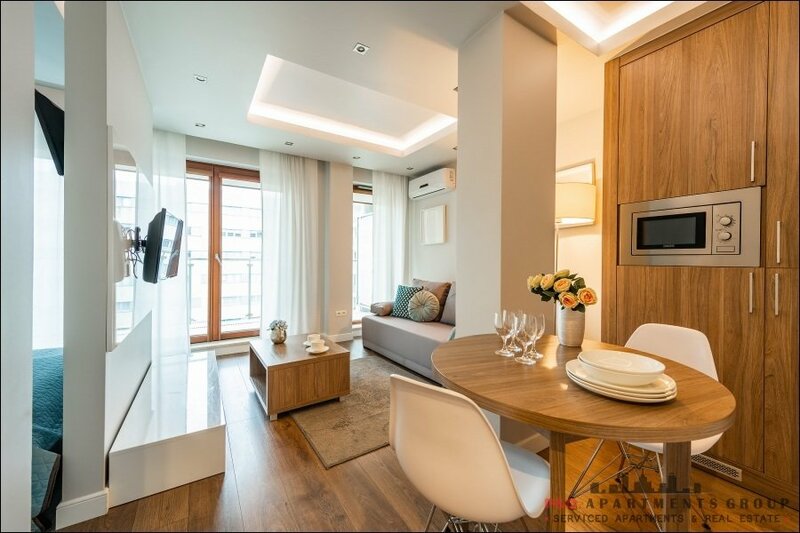 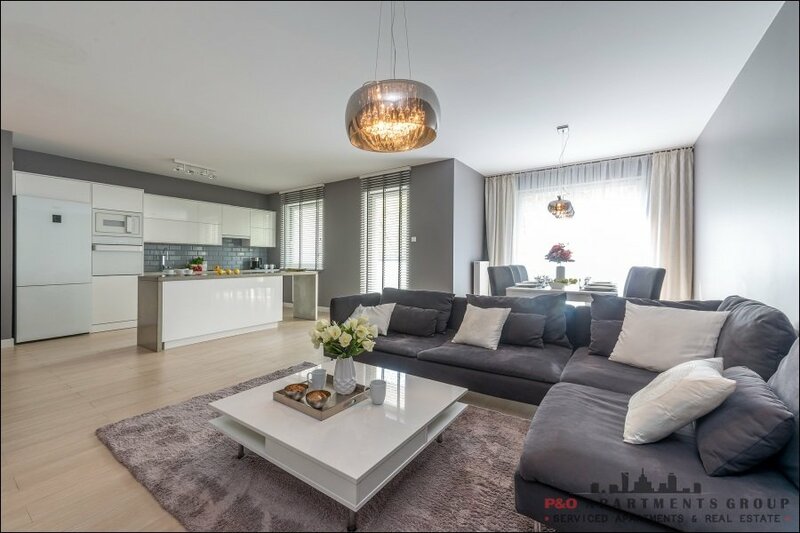 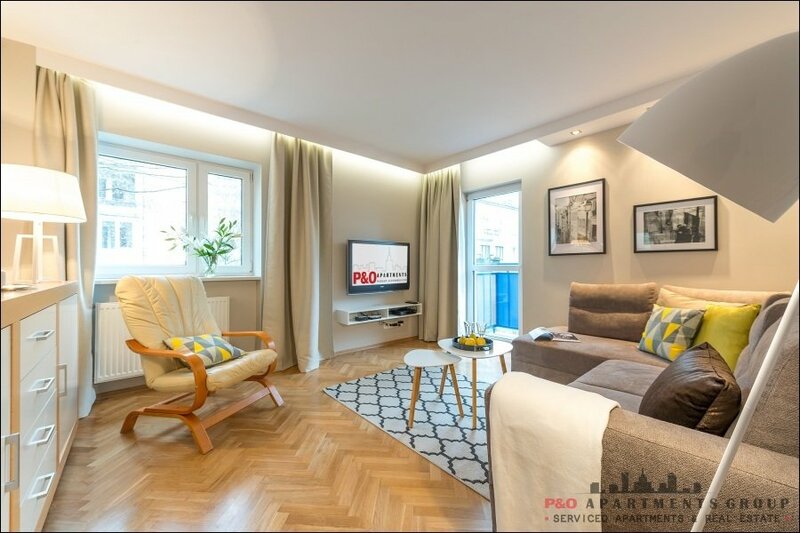 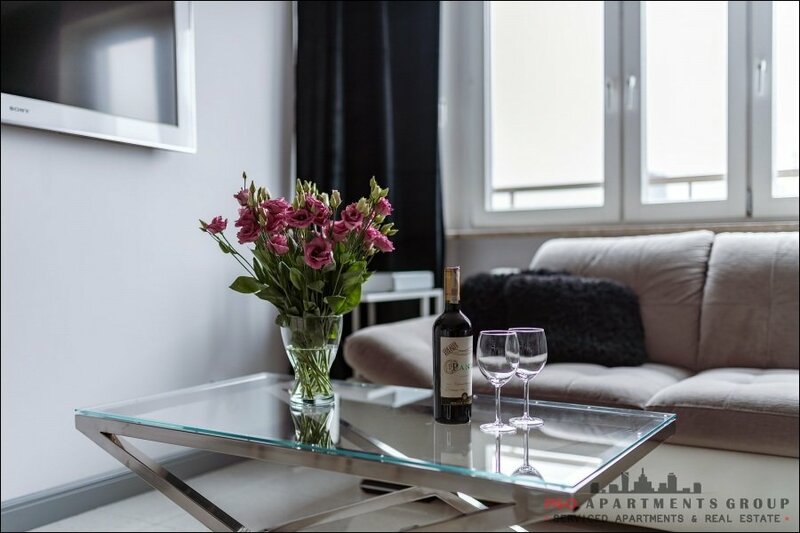 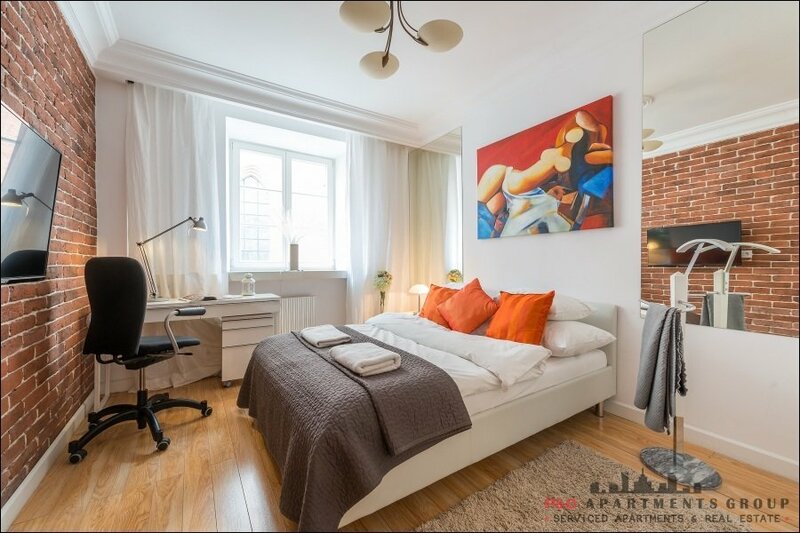 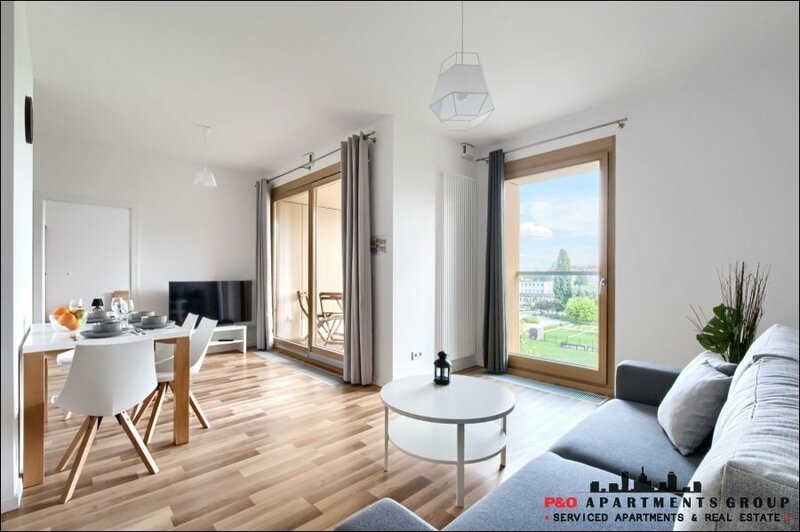 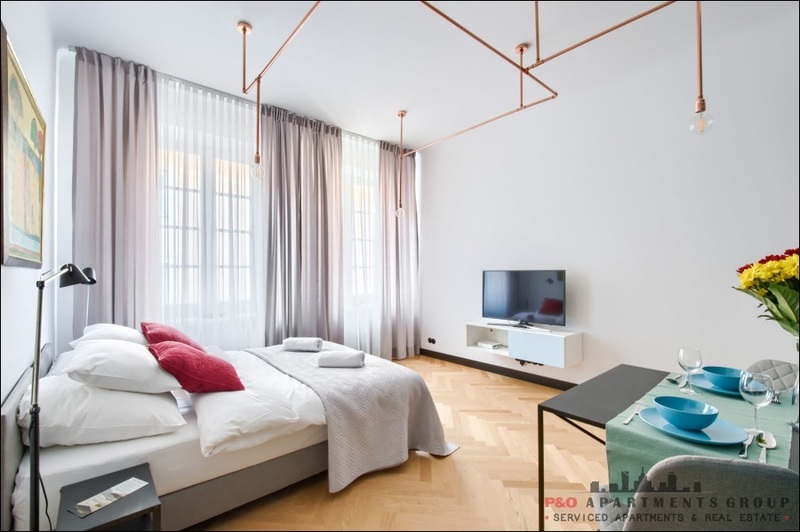 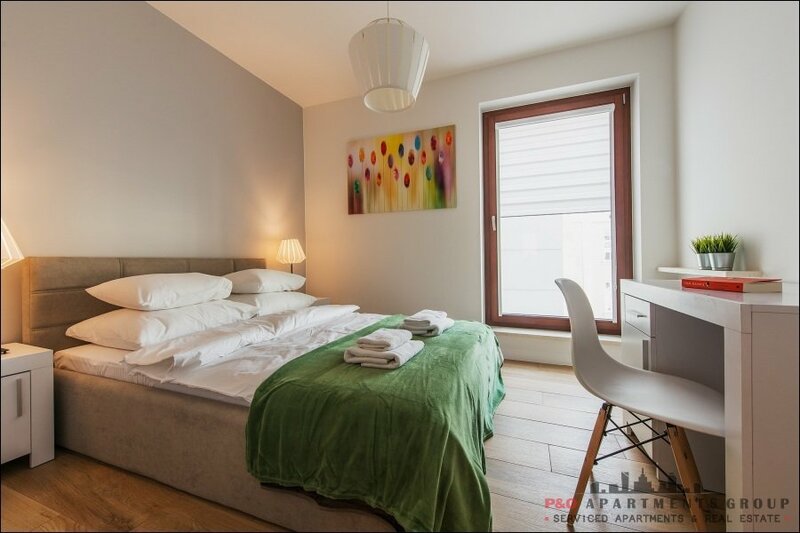 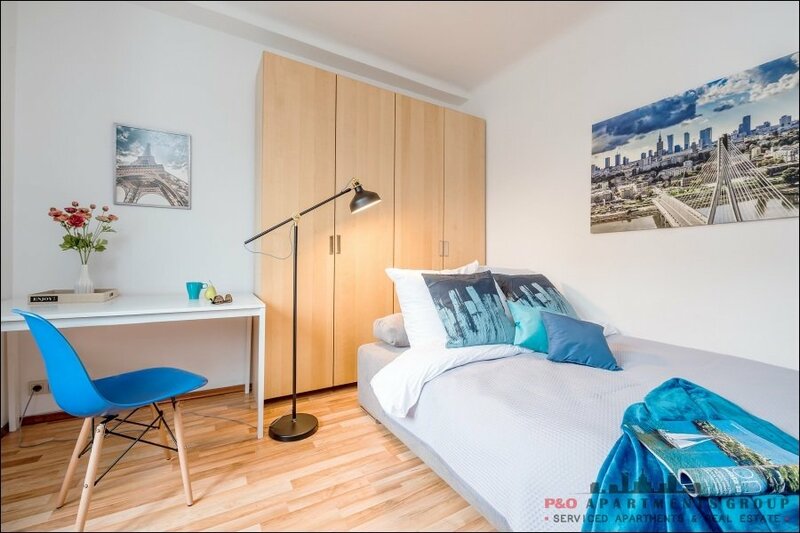 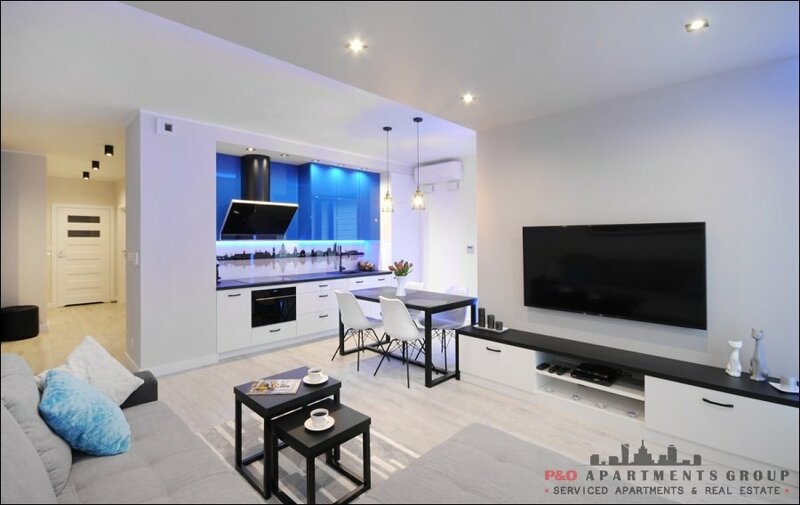 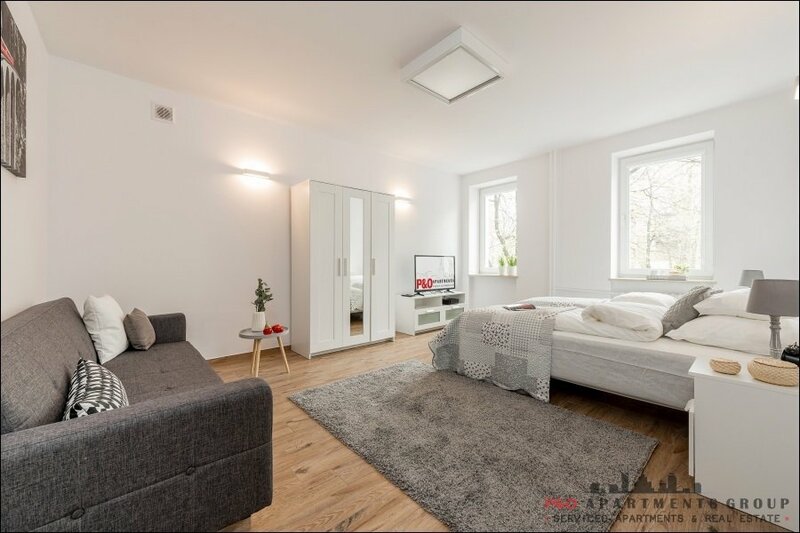 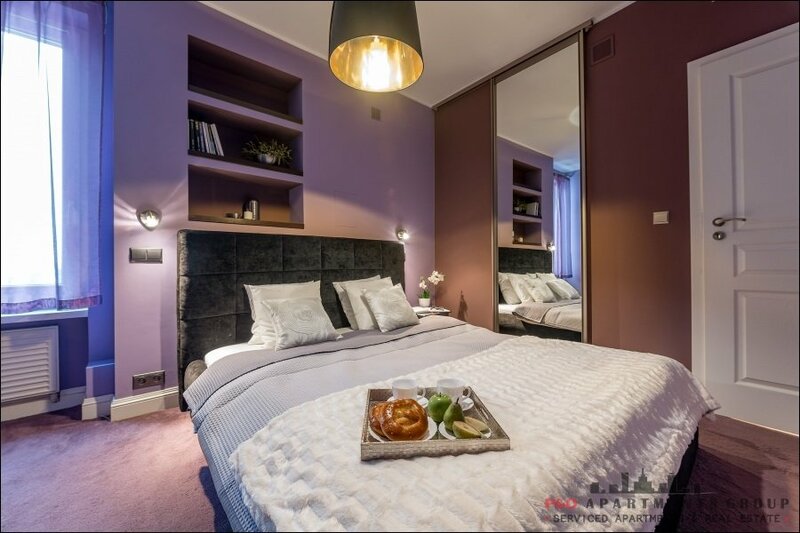 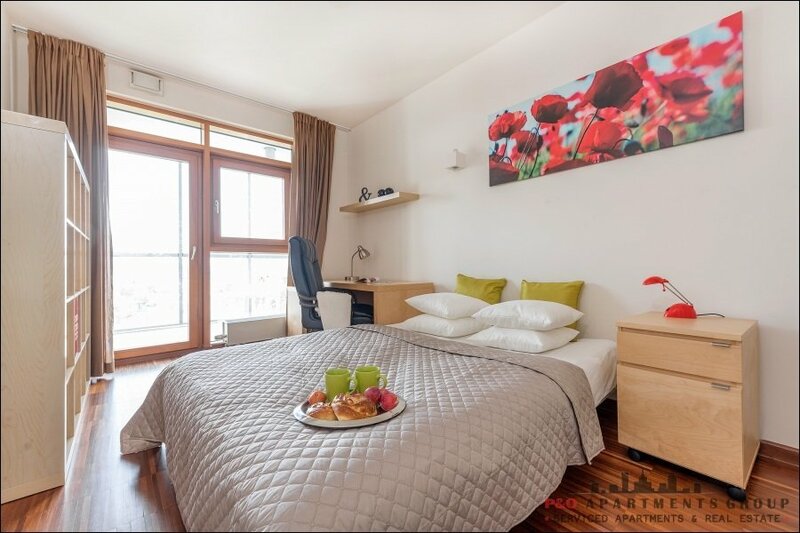 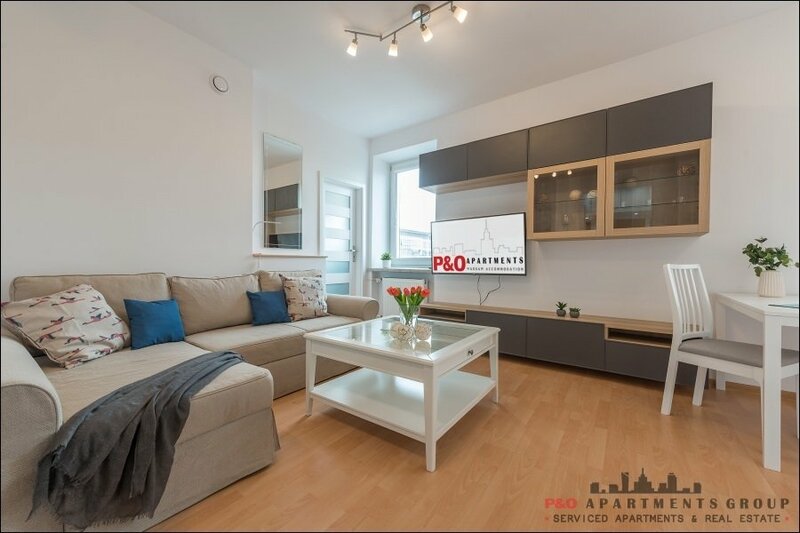 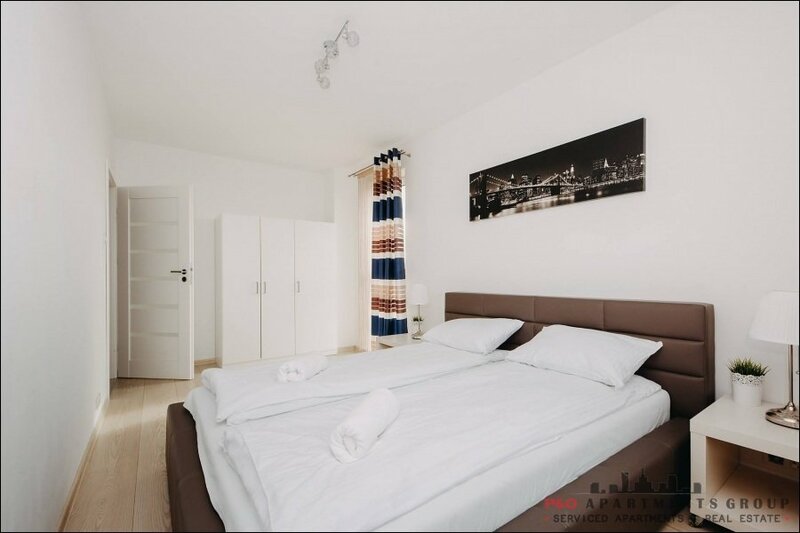 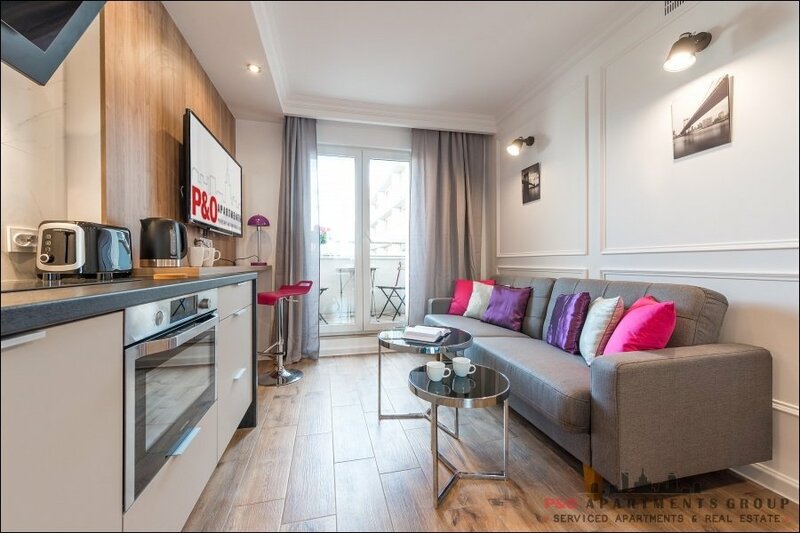 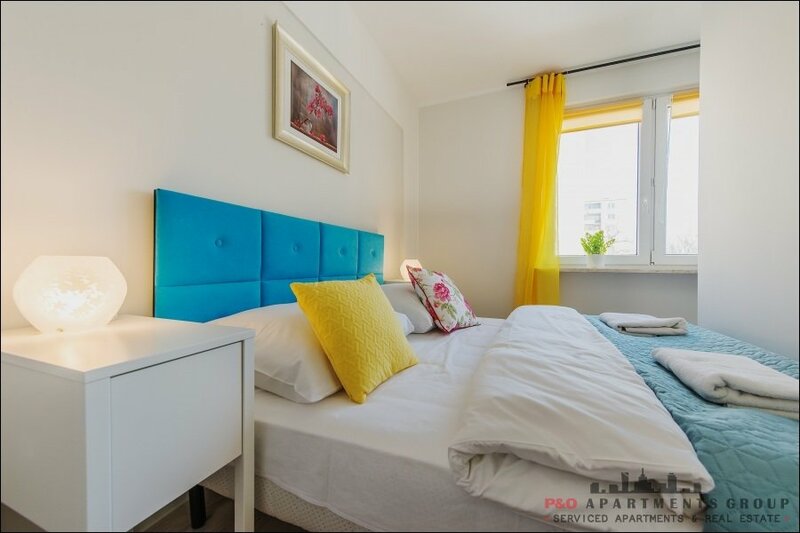 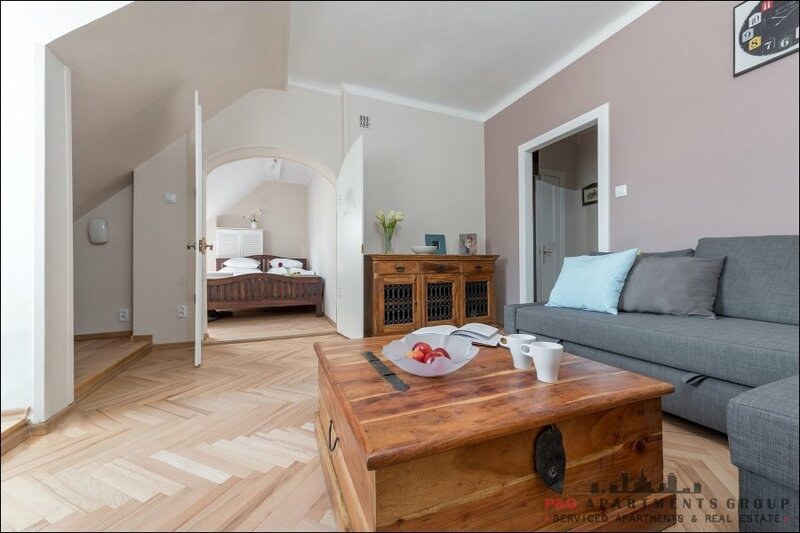 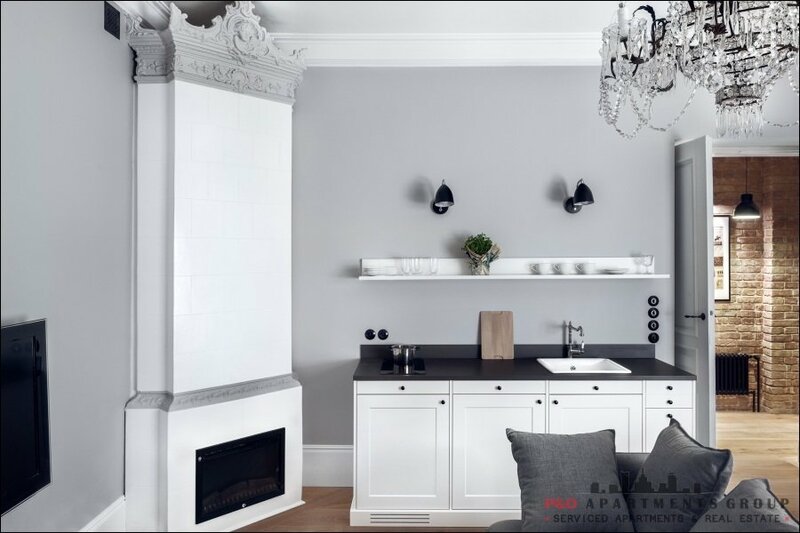 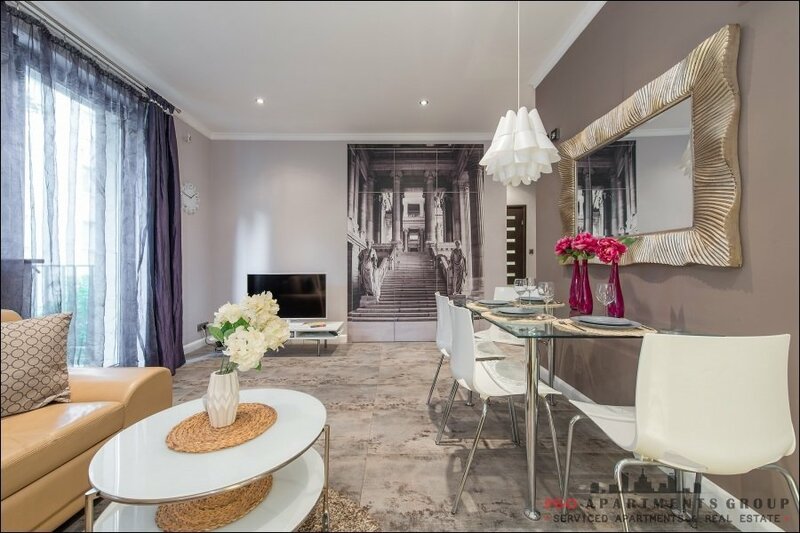 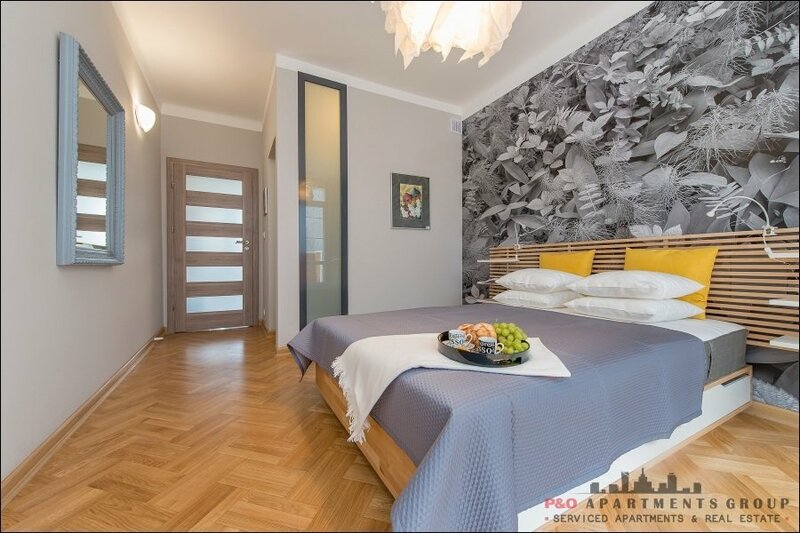 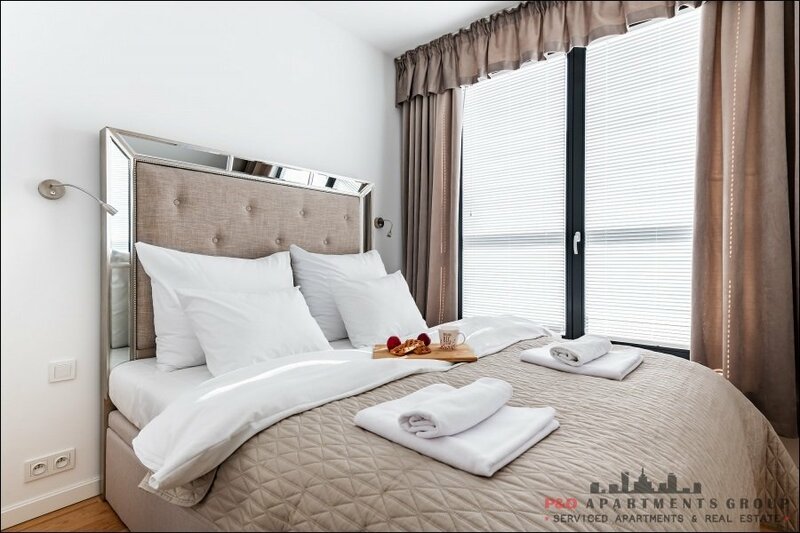 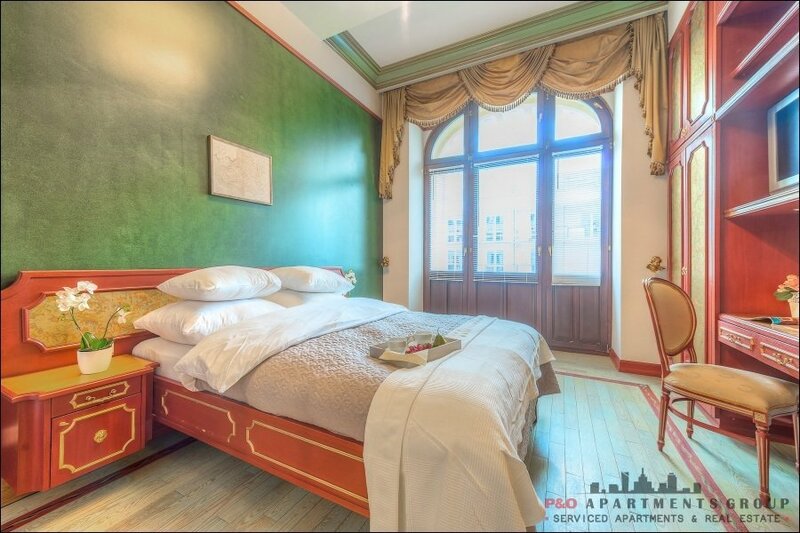 A luxurious apartment for six at Sandomierska Street in Mokotów district, convenient connection with the city center by trams at Rakowiecka stop. 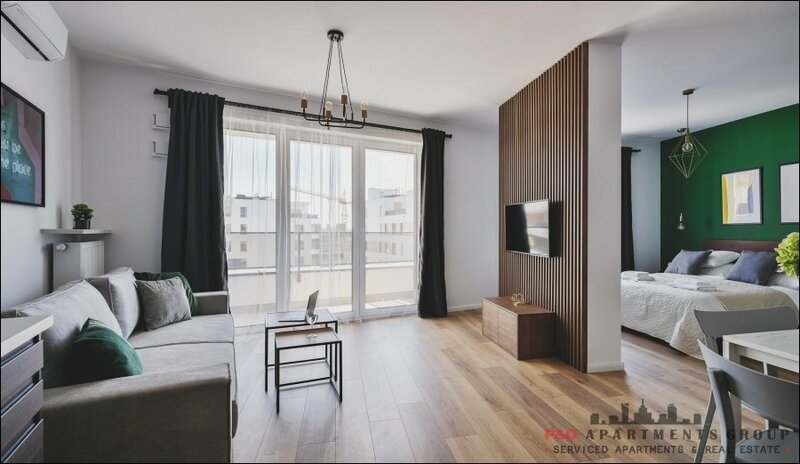 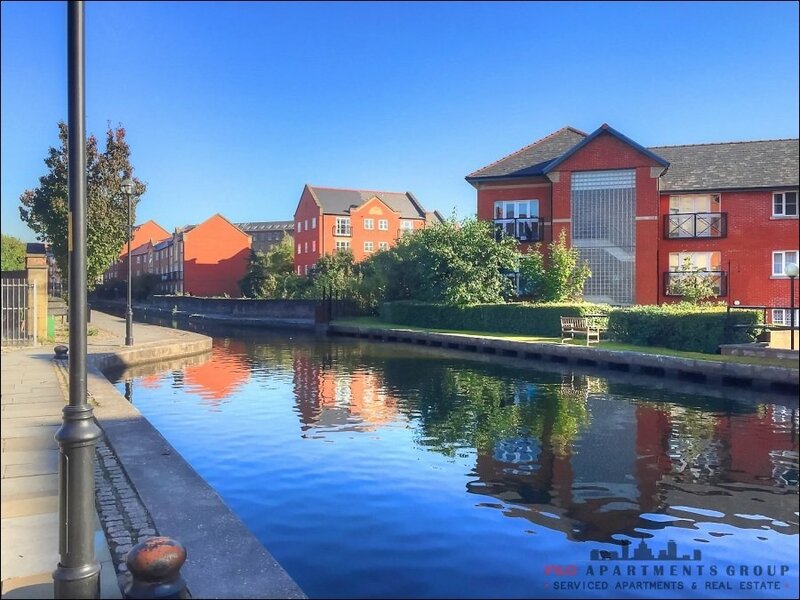 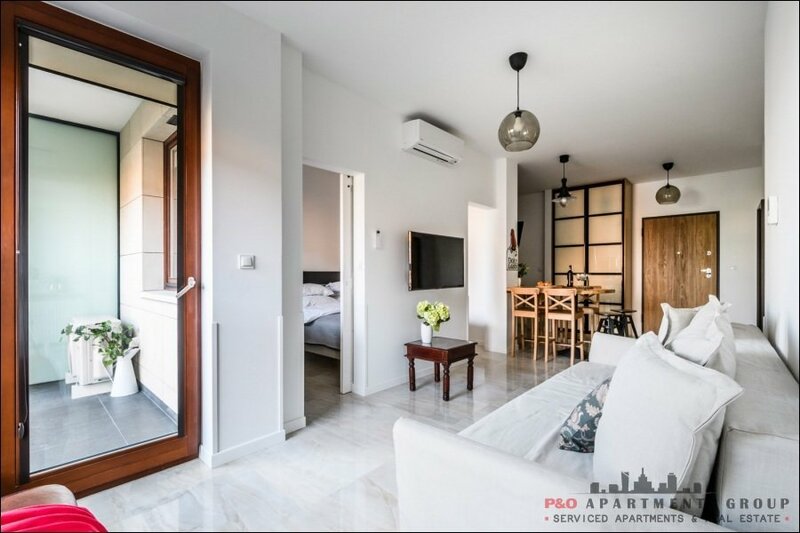 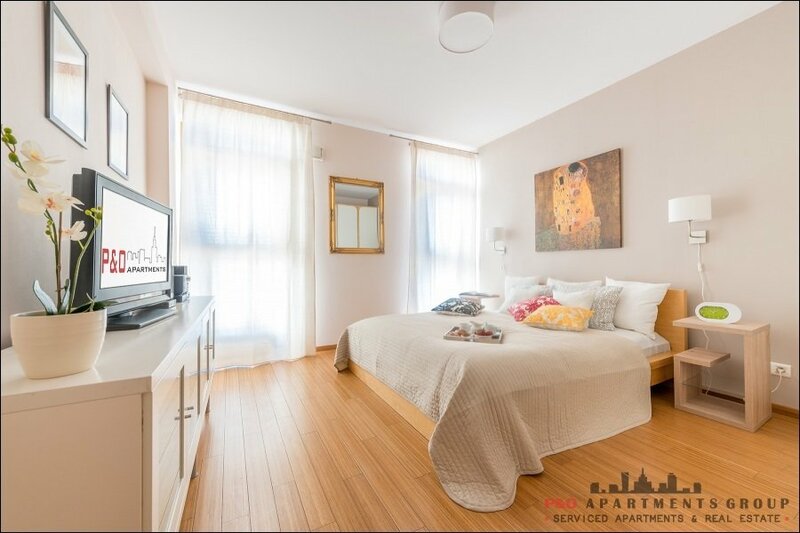 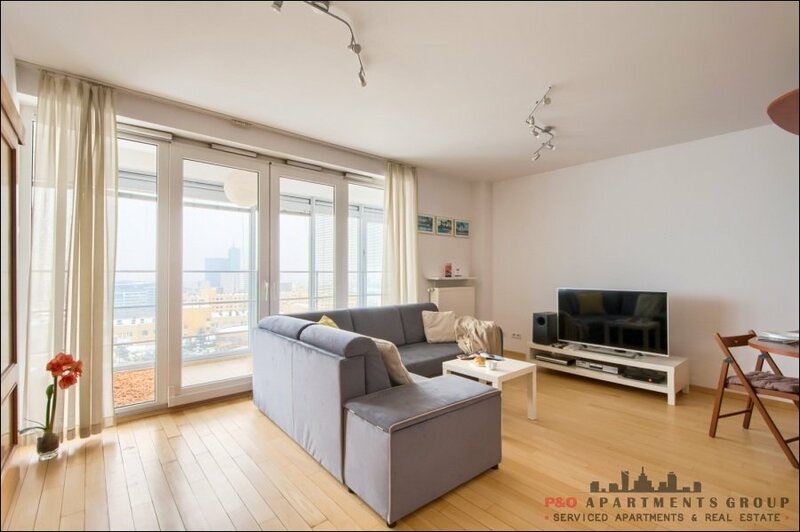 The apartment is on the first floor, consisting of a bedroom, kitchen, living room, bathroom and balcony. 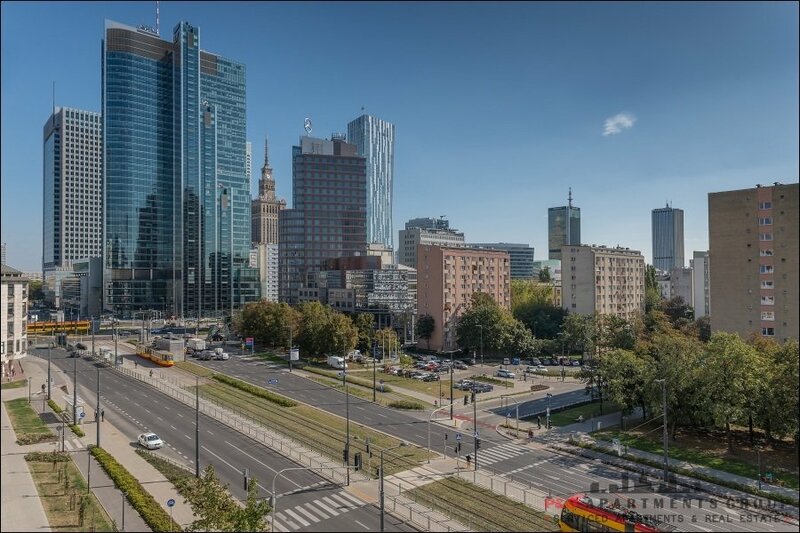 Near by there are restaurants and shops, Nowy Theather and Morskie Oko Park. 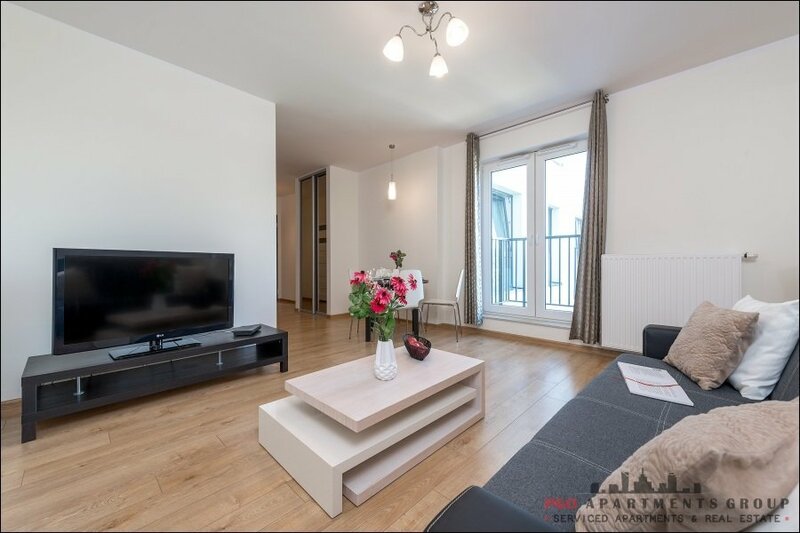 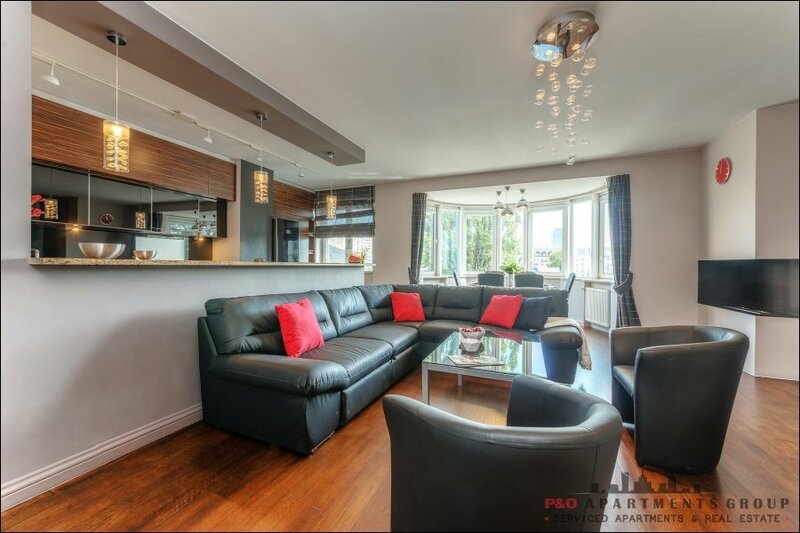 Spacious living room with double bed-settee and TV, there is a double bed and double bed-settee in the bedroom. 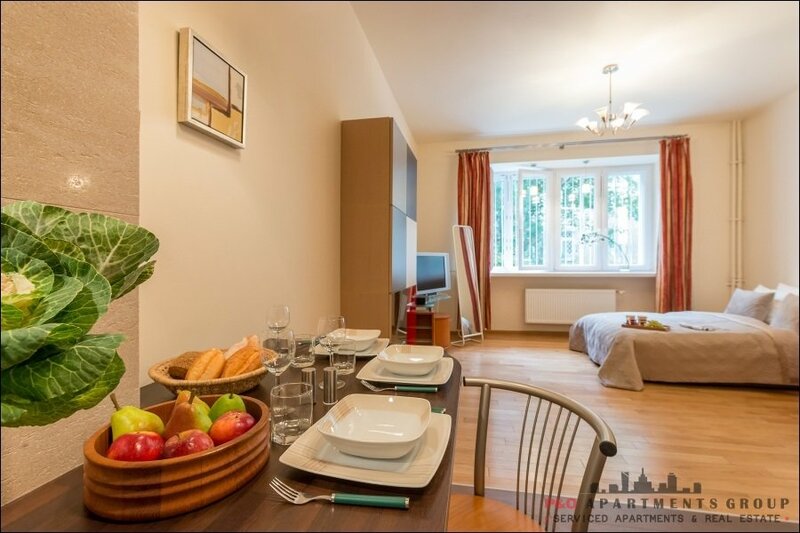 Handily designed and fully equipped kitchen with an oven, fridge, dishwasher, electric kettle, microvave. 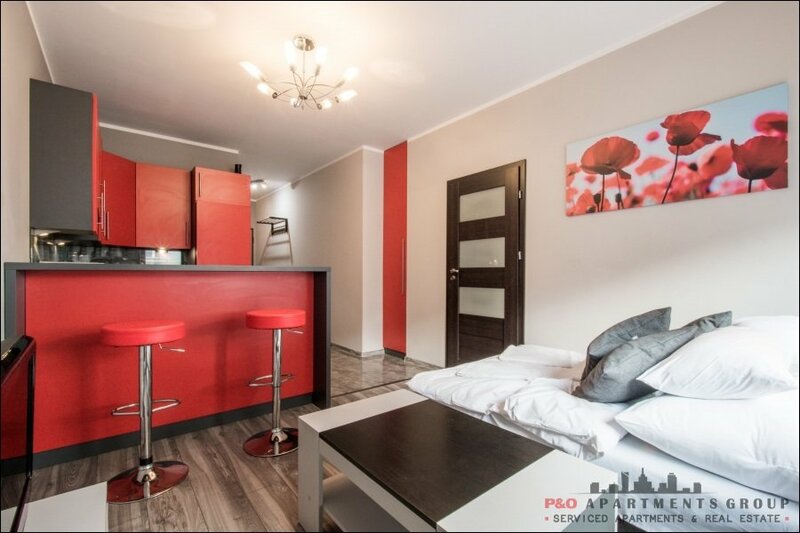 There are cutlery, plates, pots in the apartment. 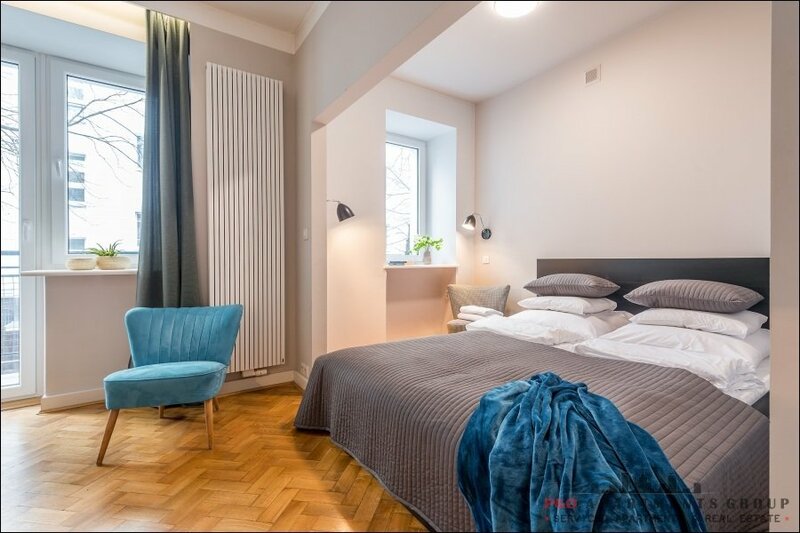 Comfy bathroom with a bathtub, basin and wc. 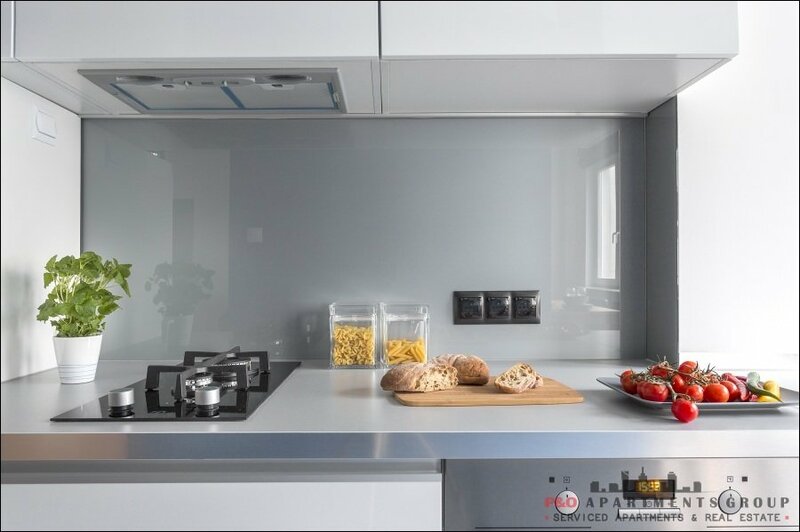 Kitchen: oven, fridge, dishwasher, electric kettle, microvave, cutlery, plates, pots. 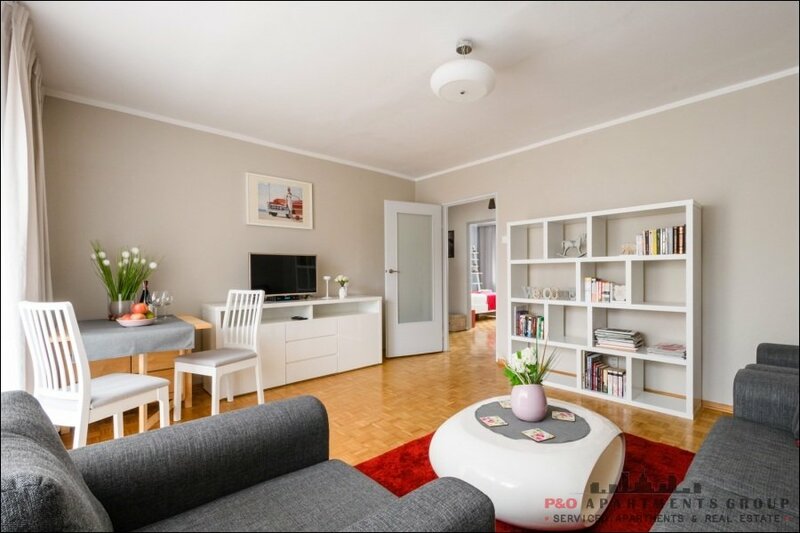 Living room: TV, double bed-settee, door to the balcony. 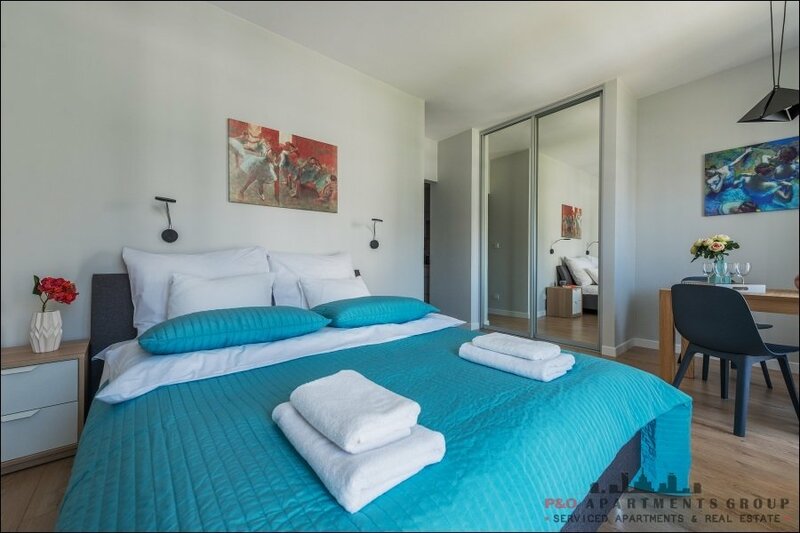 Bedroom: double bed, double bed-settee.